I am hiding in a "Love Hotel" a short taxi drive from the Abidjan, Cote d’Ivoire, Airport. 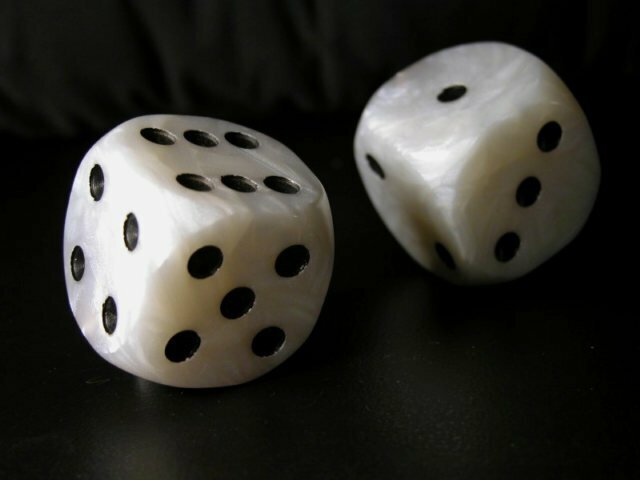 The country and culture has become a game of dice, it is not possible to predict which way the dice will land today, or tomorrow. It is, and would be silly to plan for the future, there is no future. I am not even sure which name I should use when writing about this country, the true name is Cote d’Ivoire, however the Anglophone world demands to call it Ivory Coast. The people of this country, Cote d’Ivoire a.k.a. Ivory Coast are trying to win at this game of dice, where there will only be one outcome. There will only be losers in this ugly game called "Cote d’Ivoire." "Cognitive dissonance is an uncomfortable feeling caused by holding conflicting ideas simultaneously. The theory of cognitive dissonance proposes that people have a motivational drive to reduce dissonance. They do this by changing their attitudes, beliefs, and actions. Dissonance is also reduced by justifying, blaming, and denying. It is one of the most influential and extensively studied theories in social psychology." God granted me with a mind that is inventive, impatient, insistent and incapable of accepting no for an answer. It was a great day when I learned the phrase "cognitive dissonance" in Psychology 101 at Indiana University, Bloomington in 1975, over 35 years ago. This phrase "cognitive dissonance" explained my malady, misfortune, and malformed brain, I was two inches closer to understanding my curse. I excelled in University, I majored in booze, babes, and bad behavior, I seldom studied, I would take a diet pill the night before an exam and pull and "all nighter." "Do readers care to learn how to travel, or is this travel Blog just entertainment?" I have an insane part of me, I have a brain that refuses to stop processing questions. This question has been bouncing around in my head now for about 13 years of writing about travel. I am a recovering alcoholic and often people want to know why I became an alcoholic. I can give them many reasons, they do not care, it is just a good question. "I drank too much, too often." "It became a habit I could not stop." What motivated me to drink, at first it was fun, but in the end, it was the easy way to shut off this brain of mine, to stop the insane need for answers, the never ending lack of harmony, I had a terminal case of cognitive dissonance. I would say, my mind is one of the best equipped minds on the planet to explain, or try to understand Cote d’Ivoire, However, I have accepted there are some questions that will never be answered, they will always be a maybe. There are situations where one can make the optimal decision. Teaching people how to travel is difficult, they want yes or no answers, and every answer is a maybe. To learn how to travel, the person must learn to make optimal decisions. This is more or less common sense, which is uncommon and rare to have by humans. "It is not natural to kill." I do think lying, cheating, and falling into the temptation to steal is natural. I am leaving Cote d’Ivoire before killing become normal and natural here, this is not children, it is grown men acting like children. Soon the dam will burst, and people will accept that riots are normal, that killing is acceptable. There are people for which killing is normal and natural, they are coming to the streets today, while all the people who feel killing is unnatural are going into hiding. It appears that one day all the crazies will kill each other and the natural behavior of man will surface again here in Cote d’Ivoire. I pray the good people stay out of harms way and allow the crazies to kill each other. The leaders of African countries like Cote d’Ivoire like to play dice with people life’s, they are bullies. I have often pondered the same question: are all of these travel tips just me blowing off hot air trying to prove that I am some sort of travel expert or do people really take something from them? I found my answer this past year in Central American and Mexico. I found that I am pretty recognizable to readers and they would pick me out of the street around once or twice a month. We would usually stop and chat, maybe go get a coffee or a beer. It was during these conversations that I found that some people DO take these travel tips, advice, and suggestions to heart -- they read and listen, think, come up with new ideas based of what they read. The readers that we think are out there really are. They seldom comment, email, or let us know that they exist. It is only when you are walking down the street and someone calls out, "Are you Andy Hobotraveler?" that you will know how much your ideas have shaped the course of another person's life. These readers are not the majority. I believe that most people want stories, knowledge, entertainment, but there is a fringe minority that will take these words and put them into practice. Few websites and few travel bloggers are able to create and share good travel tips, and the one that do will find their sites being very special to a small amount of people. I feel this is better than being a run of the mill publication for a large audience. We went less than two mile to the airport, the country of Cote d'Ivoire is in the business of putting up roadblocks. It appears though the military keeps the locals working the roadblocks all day and collecting bribes to pass. I am in Dakar, Senegal now, or more correctly a small place called Yoff. $31.22 US Dollar for a room with WIFI, no TV, not sure on hot water, a fan and could be noisy, but OK environment. My first impression of Dakar is it feels like Niger or Mali, dusty and broken but I guess I am in Yoff, not Dakar. I am doing the pay for first night and walk until checkout the next day to find a better value. It is 10 times more enjoyable to be in Guatemala, Peru, Thailand, Ghana than in the USA or Europe. Travel is often like having a baby, there is a lot of pain, but worth the pain. I was in Paradise in Cote d'Ivoire, and not I am in Senegal, my quality of life has taken a nose dive for three time the cost. But then again, it is perceived that Senegal is better than Cote d'Ivoire, so far it appears about the same, maybe a little cleaner.